Wilf - You love your granny's house, it's toddler heaven. You play with Duplo and jigsaw's that were your daddy's once a long time ago. You play in the paddling pool, the chalkboard and bubble wand. 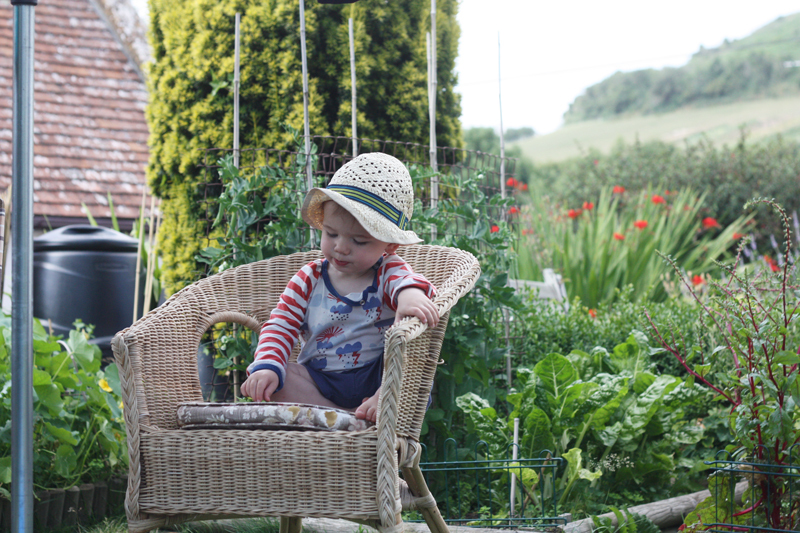 You follow your granny around the vegetable patch discovering delights like sugar snap peas! Here you are undertaking the serious job of de-shelling the peas and selecting the tiny sweet peas inside. Awww.... that is so sweet Fritha. Love him in that little hat, and I'm in awe of how much he's focusing on those peas! such a sweet photo! this is EXACTLY what i did at my nans as a child too, how nostalgic.